Sorry for any confusion but the rock and pop nights on the 19th and 20th December are taking place at Solihull Moors FC. 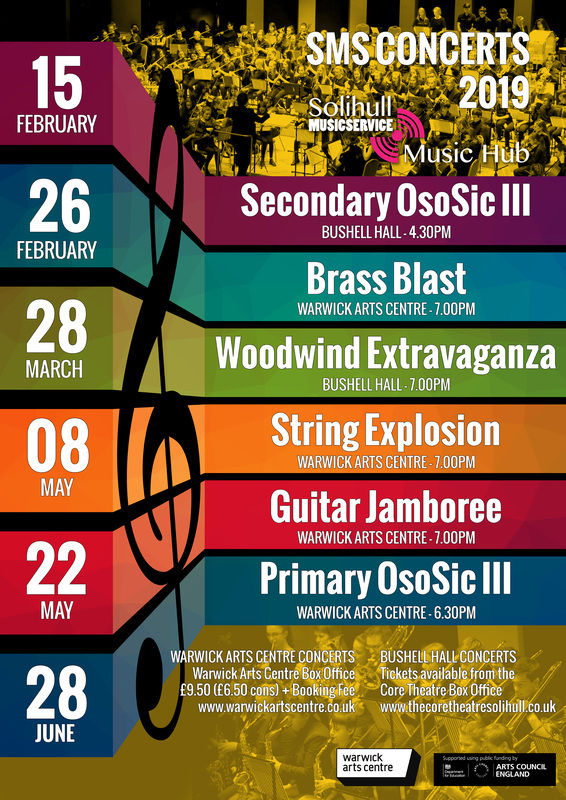 Last weeks concerts were moved due to a clash of dates with Solihull Moors. So we look forward to seeing you at the Moors tonight or Thursday. We are thrilled to introduce Piano Monsters, starting in January 2019 for any 4 and 5 year old children! This is a brand new programme offered at Saturday Music Centre (SMC), delivered in partnership with Elegie School Of Music. Join Monty Monster on his quest to learn all about music! Each half term will focus around a particular piece of music, each with an exciting story to tell. Help Monty on his adventures by completing challenges each week, each building towards a strong foundation in music learning. These classes are intended to be the perfect stepping stone between preschool music classes and individual instrumental lessons. They will teach children many of the skills needed as they begin to learn an instrument, in an environment that is fun and sociable! Piano Monsters will run on Saturdays, 11.00-11.30. The first term will run 12th Jan-16th Feb.
Solihull Music Service, Daylesford Road, Solihull, B92 8EJ. £60.00 for 6 week course, including all books and materials needed to enjoy the lessons and continue the learning at home! We look forward to welcoming many of you and your children onto this exciting new programme! If you have any questions, please feel free to contact Lauren Elliott at musicalmum1@hotmail.com.